I'm only working three days this week. 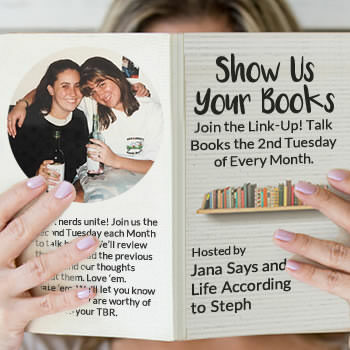 It's two days until my birthday and I can't think of a better way to spend the Tuesday before it than talking about books with all of you. This link up is the second Tuesday of every month. 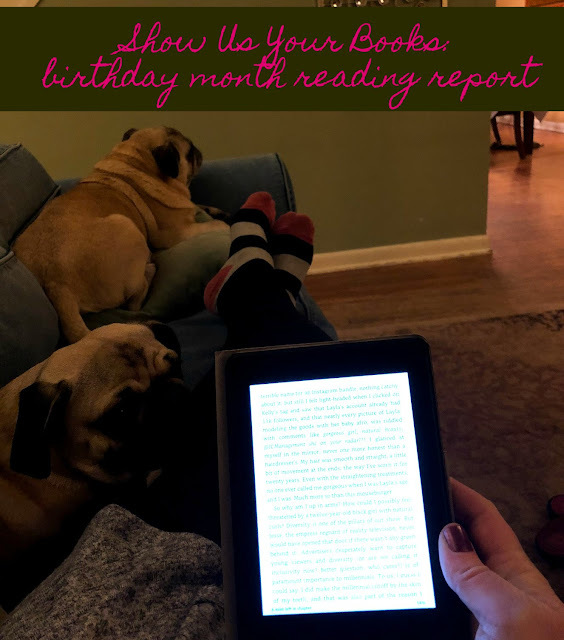 The next linkup is April 10, 2018. 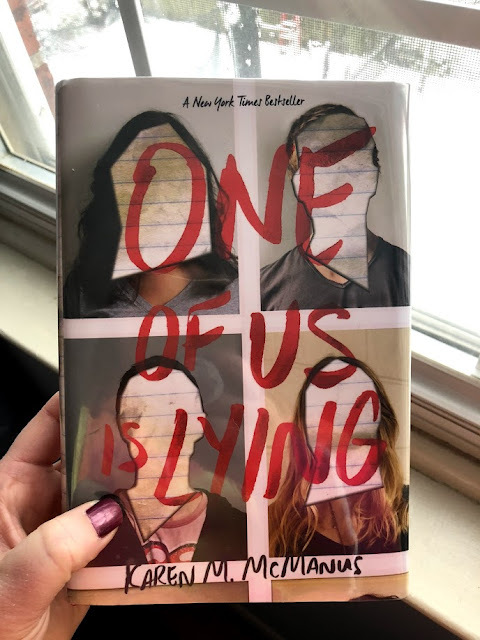 One of Us is Lying by Karen M. McManus - I read this in a few hours and most of them were from 11 pm - 2 am on a school night so you freaking now I couldn't put it down. I loved this book. Technically YA, I guess? It hit so many of my reading hotspots. Philly library hardback. After Nightfall by A.J. Banner - I tore through this one and probably pinned the tail on every character at some point. Lots of suspension of belief for a series of events but an enjoyable read nonetheless. Not a lot of character development and a wishy washy lead character but both of those things actually benefited the story. What it lacked in those areas it made up for in drama. Free ARC from Netgalley in exchange for an honest review, book comes out in August. Bring Me Back by B.A. Paris - I devoured this book while alternately thinking this is so good/this is going nowhere. It was a weird read. Read it when it comes out and tell me what you think. Free ARC from Netgalley in exchange for an honest review, book comes out in June. The Visitor by K.L. Slater - Half of me really enjoyed this and half of me was disappointed with the lack of depth in quite a few areas. Overall though, I enjoy things are not what they seem books. E-copy from Netgalley in exchange for an honest review, book is out now. One of Us is Lying is on my TBR and I love seeing another positive review for it. I really need to prioritize it. I'm so glad you enjoyed The Wife Between Us. I really liked it quite a bit. Mostly because the bad thing that Vanessa did surprised me by both being ingenious and awful, so awful. Happy early birthday! One of Us is Lying is one I purchased on a whim and it's on my "need to read it soon" list. I've heard nothing but great things about it! LOVED One of Us Is Lying. Felt the same as you did by the Wife Between Us. I'm curious to see what I think of Providence now since you and I have similar taste. Oh I’m going to be checking some of these out especially One of Us is Lying. I also read the Wife Between Us this month. Happy Reading! Several friends that I work with have recommended The Wife Between Us. I may need to bump it up in the cue... (After I finish the books I have slated to finish Erin's challenge.). I added One of Us is lying to my Goodreads TBR a while back. Given what you've said about it, I may bump it up, too. I'm currently halfway through Not That I Could Tell - I feel like I've read a couple of "how well do you know your neighbors/spouse" type of books lately, so I wasn't so sure about it at first, but I really do appreciate the likeability of the characters, so I'm all in now :) And I was thinking about picking up American Fire for my husband, who mostly reads non-fiction but has been doing more fiction lately - sounds like it might be just the thing! I have One of Us is Lying on my TBR, glad to hear you liked it! I am on the wait list at the library for The Wife Between us and I have Bring Me Back on my Netgalley shelf just waiting to be read. Sounds like I have some good books on deck! I am with you on just going in to a book and trying it, knowing I can let it go if I don't enjoy. You never know what you may like. Look at you reading nonfiction. After just finishing my second B.A. Paris book, I've been wanting to read her new one. One of Us Is Lying is that book that can't be put down, until you know exactly what happened! 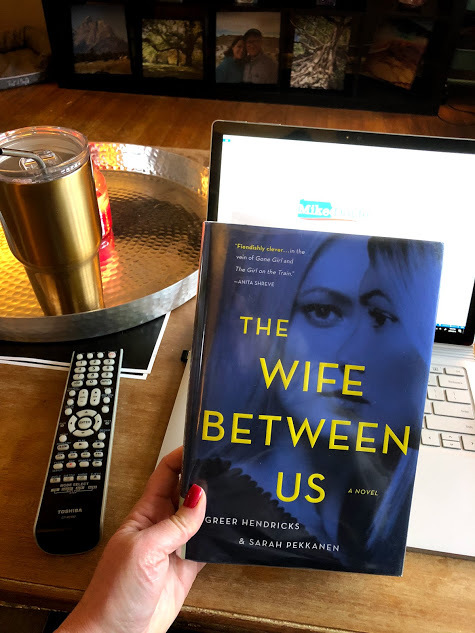 I also just finished Wife Between US, and it wasn't what I thought it would be... reading thrillers has given me a deep mistrust of husbands in books. Ooh, someone else just recommended "One of Us is Lying" to me yesterday and now I really can't wait to read it! I've read one book by Joy Fielding ("She's Not There") and enjoyed it, good to know they're not all worth the time! Happy Birthday Month! I have not read any of these, but I DO have One of Us Is Lying on want to read list, so I'm so glad to hear that you loved it. It just sounds fantastic! Happy early birthday! I also read The Wife Between Us this month and enjoyed it. I am going to have to give One Of Us Is Lying another try. I tried awhile ago and couldn't get into it. I think I added almost every book from your engrossing reads and Passed the Time Just fine lists to my to read list! LOL! Thanks for the recommendations! One of Us is Lying has been on my TBR...might have to bump it up after your review! I've been killing some YA lately, and it's AWESOME. I have Bring me Back from Netgalley too - going to get to that sometime. Her books are kind of not my favourite although I do find I have to read them super quickly because I need to know the ending. I want to read One of us is Lying! Sounds good! American Fire sounds so good - I've had that on hold at the library forever. I've also seen so many people reading One of Us is Lying with great reviews, so I'm adding that one too! Currently reading Providence. One chapter in. We'll see. You know I loved American Fire and One of Us Is Lying was great, too. I read another book by AJ Banner recently and really liked it (The Twilight Wife) so I may check this one out, too! I have The Wife Between on Us on hold at the library - can't wait to read it! i really enjoyed one of us is lying too. very unputdownable! i got the wife between us from BOTM so i'm glad you didn't hate it. i also got not that i could tell from BOTM just this past month i think, it sounded interesting! happy birthday week! Totally adding American Fire!! Sounds so good and I love that you said it read like a fiction, those are my fav. I have been waiting for One of Us is Lying from the library for what feels like forever! I want to read One of Us is Lying and American Fire -- waiting for both at the library. Nonfiction that reads like fiction is my kind of nonfiction. You know a book is good when you want to stay up half the night reading it! I'll have to check that one out. I have American Fire on my TBR as well, I really need to get to that one soon--I keep hearing excellent things. I love nonfiction that reads like fiction! I need your email to reply to you directly! One of us is lying sounds great. I am currently reading the Alienist and just finished Mean Streak, I really liked that one. A few of my friends have read One of Us Is Lying and they loved it as well! It's going on my TBR list today! One of Us is Lying is on my bookshelf and at the top of my summer read list! 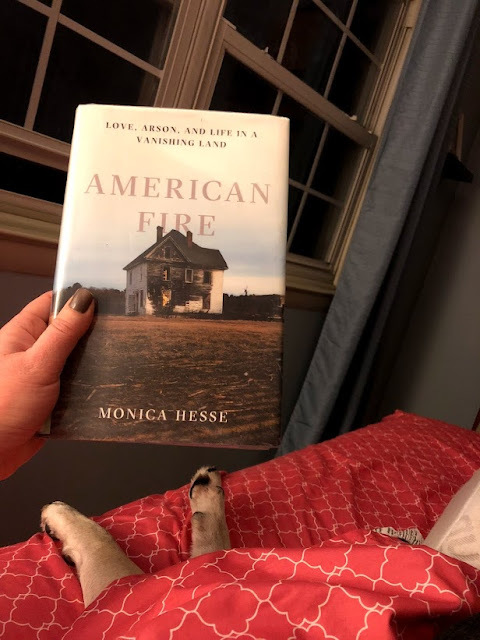 I am not usually a fan of nonfiction - The idea always sounds interesting but I realize I'd rather read fiction based on the same era or event - I might give American Fire a try though if it *feel* like fiction I think I might like it! I'm on a massive waiting list for One of Us is Lying but I CANNOT wait for it to come in as it sounds so good! Several people have picked up One Of Us Is Lying for this linkup. I need to get it from the library! I want to read the new BA Paris book! I really enjoyed her earlier books so I’m hoping all enjoy the new one too! Oh I freaking LOVE Nonfiction...I shelved a book called "The Baking Powder Wars" because I heard it on a nonfiction book podcast and .. yeah who wouldn't want to read that? I have American Fire on the TBR but maybe I'll grab it on the next library run. One Of Us Is Lying is on my TBR, still. Adding After Nightfall. Regardless of all of the positive reviews, I still have no interest in The Wife Between Us. I appreciate the addition of when the book comes out for those ARCs, thanks! HAPPY BIRTHDAY WEEK! Enjoy your time off! 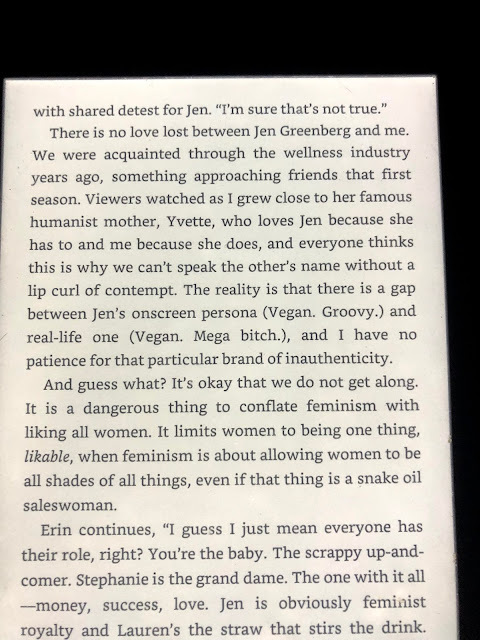 One Of Us Is Lying sounds like it would be a good read! I am not a Breakfast Club person, but your description of One of Us is Lying makes me want to read it because any book that keeps you reading is generally worth a try! Plus, a couple of people recommended it this month. One of Us is Lying sounds like an interesting read! I'm going to add it to my TBR when I'm in the mood for a mystery/thriller type. I'm really glad One of Us Is Lying was so good. It's pretty high on my list of books to check out soon (assuming I get through my current stack of library books in a reasonable amount of time). I have The Wife Between Us checked out now, so I'm glad you liked it. I wasn't too sure about it either (I think I read a few less than stellar reviews). I added a bunch of these books to my list (big surprise there!). Happy birthday week!! I'm still a sucker for a good birthday countdown, which I usually start about 6 months before my birthday! Ha! I actually own One Of Us Is Lying! I got it in a blogger Christmas gift exchange. Now I'm even more excited to read it...eventually! Happy Birthday week!! Hope its going awesome. I just finished reading The Lake House by Kate Morton. It was fab! I listened to the wife between us and really enjoyed the audio version. Not sure I would have liked it as much reading it. I recently started reading a book called Eviction: poverty and profit in the American city. it's set in milwaukee, where I lived for 4 years, so i was immediately drawn to it. it's been so eye opening so far. I really liked One of Us is Lying! American Fire has been on my list forever, so I'm gonna move it up! Oh my goodness, I just put more than half of these on my 'to read' list! 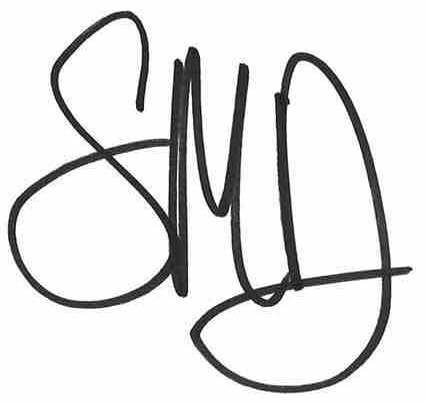 Thanks for this awesome post! You read so many good books! I am definitely interested in American Fire and One Of Us Is Lying now! one of us is lying has been on my TBR forever and my mom just finished the wife between us, which means a free book for me, yay! I really liked American Fire and One of Us is Lying too! The Favorite Sister sounds interesting- sometimes it's hard to pick up a second book by an author if you didn't like the first one you read, but it's always good when it ends up being one you enjoy.